We believe psychology is the missing piece of your weight management puzzle. We help you transform your mindset around eating, physical activity, weight and body-image! Weight Management Psychology is a psychology-based, person-centred, interdisciplinary, progressive weight management clinic. They are a lot of words! What do they mean? Psychology-based. Many people feel the mind is the most important element of weight management. But most people don’t dedicate a lot of time, energy, and resources to training their minds. At WMP we help you train your most important muscle – your brain! Person-centred. Most weight management programs are weight-centred. This can result in obsession with food and exercise, psychological health problems, and weight regain. At WMP we help you “zoom out” from the scales and focus on yourself as a whole person! Interdisciplinary. While we believe psychology is the missing piece of the puzzle, we know it’s not the only piece. We support you with a team of like-minded, understanding, and caring nutrition and movement professionals. Progressive. 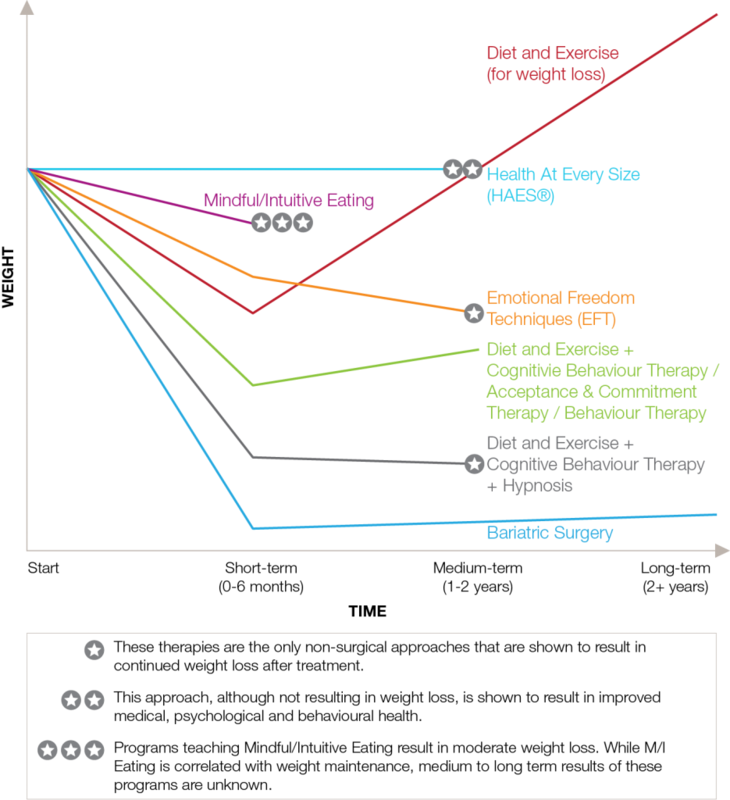 As seen by the below graph, common diet and exercise plans don’t work so well in the long-term, even when supplemented by traditional psychological approaches. We like to support you with traditional psychological methods and innovative evidence based ones, like as tapping and hypnosis. Hey Buddy!, I found this information for you: "About Us". Here is the website link: https://www.weightmanagementpsychology.com.au/about-weight-management-psychology/. Thank you.